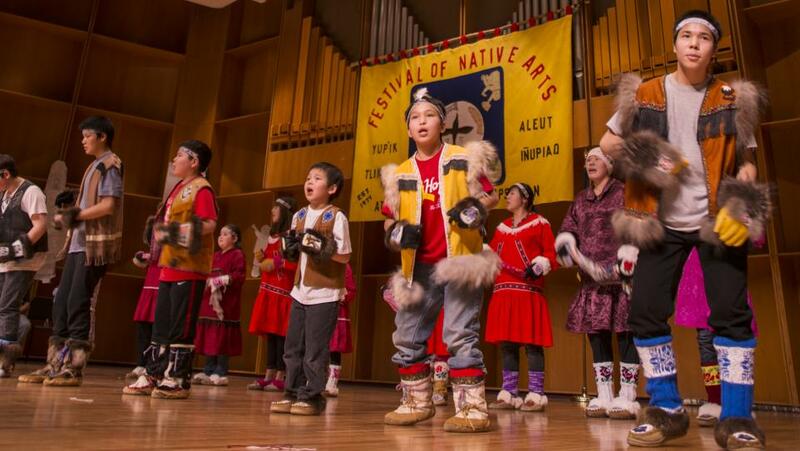 In 1973, UAF faculty, staff and students organized the first Festival of Native Arts, which was similar to the spring village gatherings in their home communities. 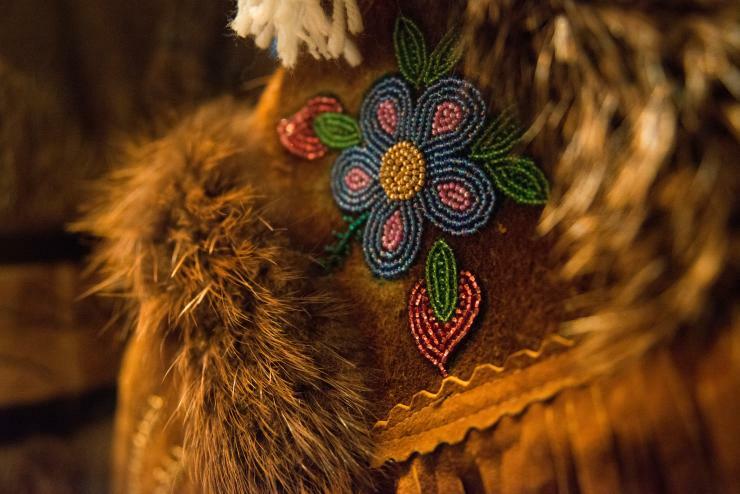 The Festival has been a way for audience members from across the globe to experience and learn more about Alaska’s diversity of indigenous traditions, art and dancing. 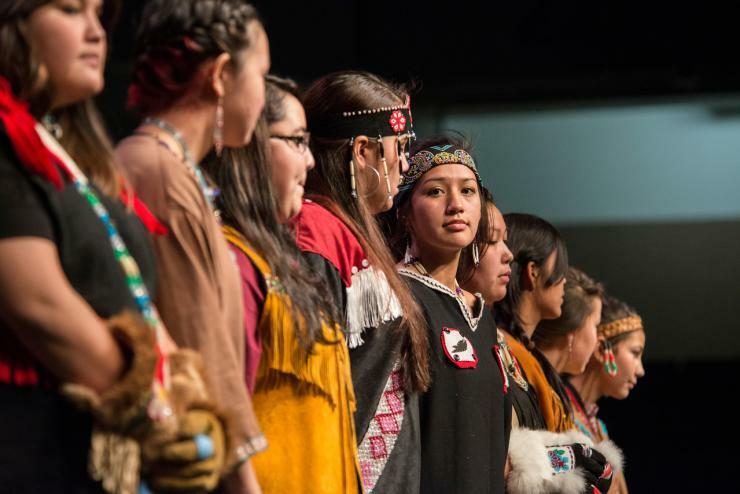 “When Festival first started, it was driven by Alaska Native students’ desire to share – share their lives, their culture and their home with each other and the rest of campus and the Fairbanks community,” says Cathy Brooks, professor of Alaska Native Studies and Rural Development as well as faculty co-advisor for the Festival. Free and open to the public, the Festival of Native Arts features 28 indigenous performing groups and workshops. There are free workshops at the UAF Wood Center. Workshop topics include a wellness workshop, songwriting with language, photography through an Alaska lens, filmmaking, Alaska Native languages, Akutaq (traditional ice cream) making and beading. Want to see the Festival in action? Watch campus photographer JR Ancheta as he explores the 2017 Festival of Native Arts. Exciting for visitors and locals alike are the incredible artisans from across the state that come to sell their handmade goods during the Festival. At the arts and crafts fair, you can find tables filled with everything from kuspuks and beaded slippers to jewelry and traditional carvings. It is truly worth the visit to admire such creativity, tradition and craftsmanship. The Festival has evolved into an event that attracts performers statewide and an audience from around the world including Japan, Australia and Canada. Getting there: You can take the Fairbanks MAC City Bus. View the MAC Transit Bus Schedules here. Want a full roundup of annual events in Fairbanks? Request a visitors guide today!